This 10k I.D. 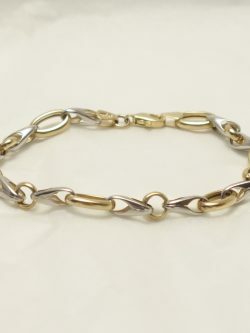 bracelet was made in Italy. You can add a personal touch to it by having a name, word, or brief message engraved on the front or back of the plate. All prices are in Canadian dollars. 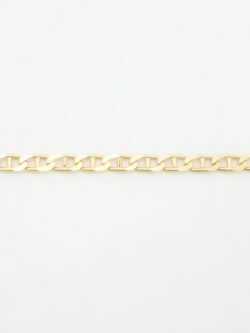 This delicate but elegant 18k I.D. 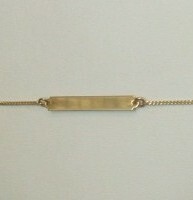 bracelet was made in Italy. 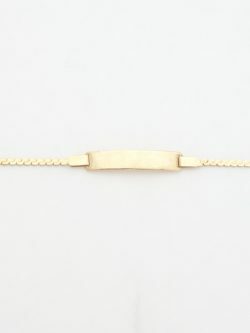 It has a solid gold bracelet. The I.D. plate can be engraved on the front and back. This would make a great communion, confirmation or graduation gift. 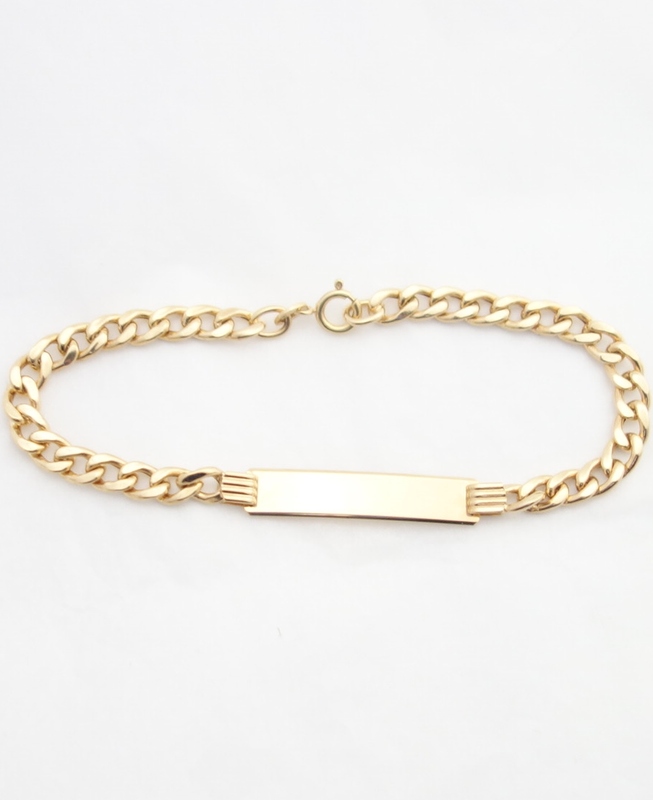 Length of Bracelet: 6.75 inches* Width of Bracelet: 1.75mm* Length of I.D. Plate: 1 inch* Width of I.D. Plate: 5mm* *all measurements are approximations.